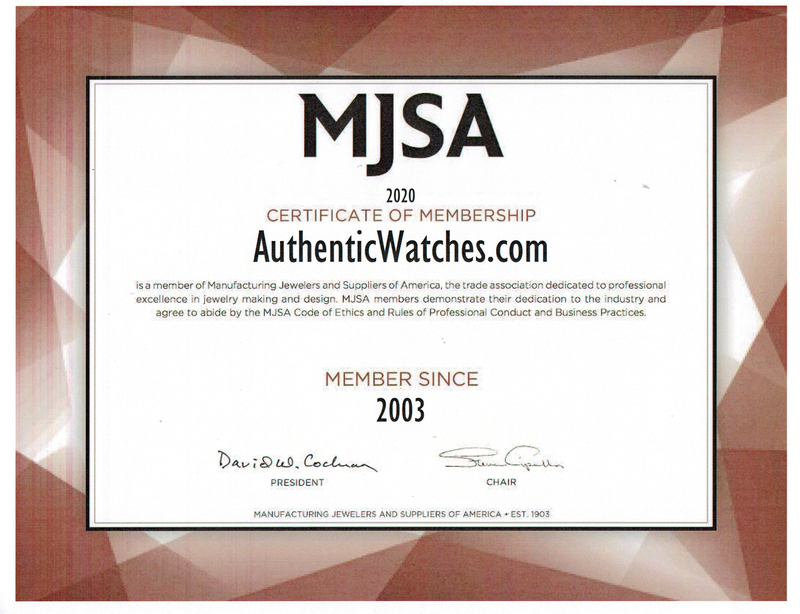 Since 1979, AuthenticWatches.com has been a family-run business, a leader, and a global supplier in the new luxury Swiss watch industry. Throughout the years we proudly served our clients� needs with our exemplary customer service and provided high-end timepieces at discounted prices unmatched by our competitors. With our long-standing trusted relationships with our certified suppliers, we grew throughout the years and now proudly offer one of the widest selections of new luxury authentic timepieces, high-end designer handbags, and fine jewelry in the industry. With our unrivaled vast collection of premium hand-selected brands and our devotion to customer service, AuthenticWatches.com leads the global market. From our family to yours, we wish to provide you with the most pleasant buying experience. Our knowledgeable and specially trained service associates are standing by to answer your questions. We would love the opportunity to assist you with your next luxury watch, jewelry, or handbag purchase.